Back in 2018, NEO was considered to be one of the projects with quite a bright future ahead of it. Many saw it as a rival to EOS, with both of these coins having the potential to overthrow Ethereum and become so-called Ethereum Killers. Further, the coin was known for its popularity in the East, even being called ‘Chinese Ethereum,’ as the country had a great interest in this cryptocurrency. 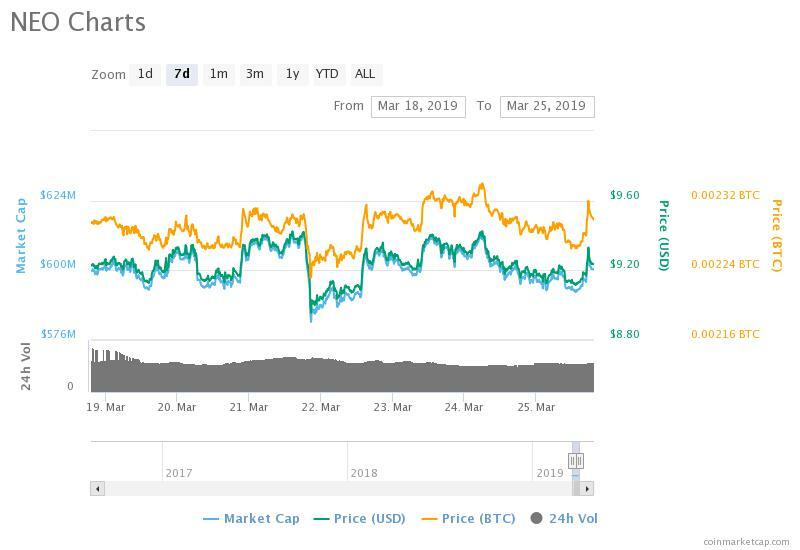 "NEO coin sees new growth in 2019"
At the time, NEO price had strong support at $15, but the event forced the coin not only to break it — but also to drop all the way down to $6. For the rest of the year, NEO price was fluctuating between the support at $6 and resistance at $9, meaning that those who were looking to buy NEO could get the coin at quite a low price. NEO also struggled with a minor resistance at $8 at that time, which is where its price was when the year ended. 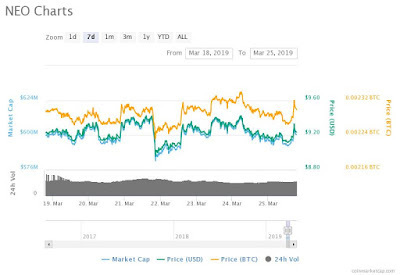 For a while, its price fluctuated between minor support at $8.80 and minor resistance at $9.20, but it breached this resistance around 11 days ago, on March 14. Since then, this level became NEO’s new support, while $9.60 became the coin’s new major resistance.